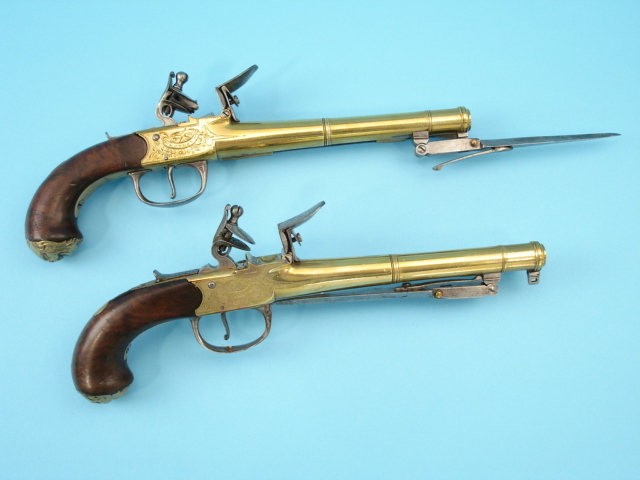 .58 caliber, 8-inch brass barrels with cannon muzzles and moulded banding. 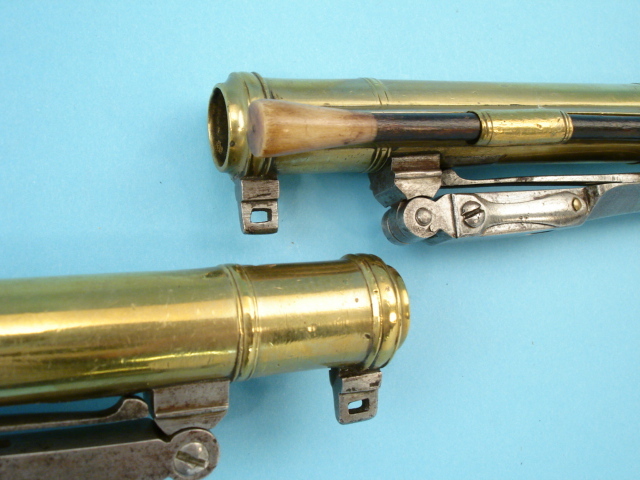 Side-mounted hardwood ramrods with ivory tips. 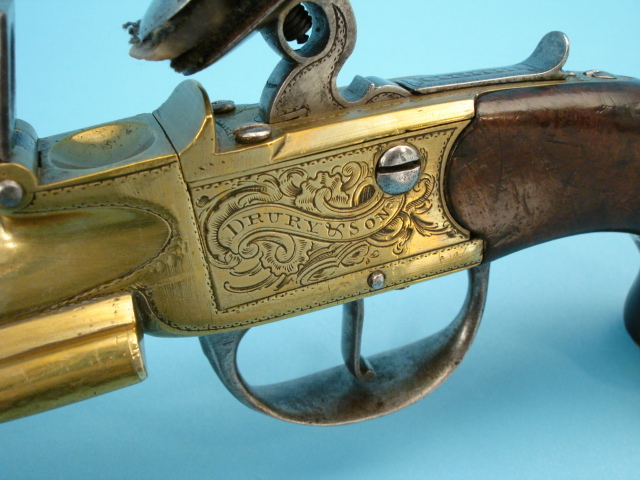 Scroll and floral engraved brass frames with rib bands reading: Drury & Sons/London. 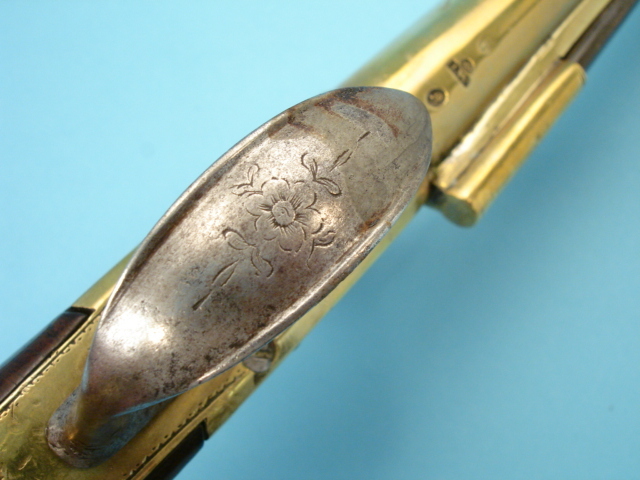 Steel trigger guard engraved floral motif. 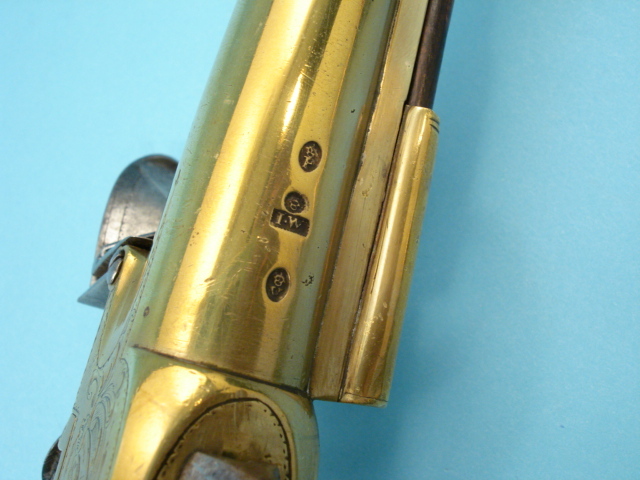 Engraved sliding safeties. 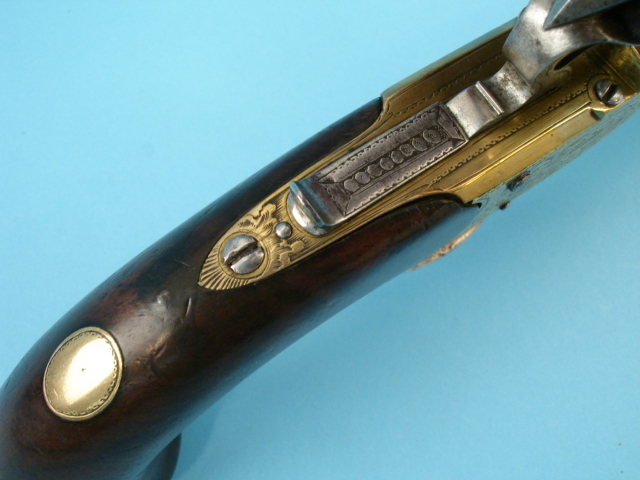 One-piece walnut grips with vacant brass oval wrist escutcheons. 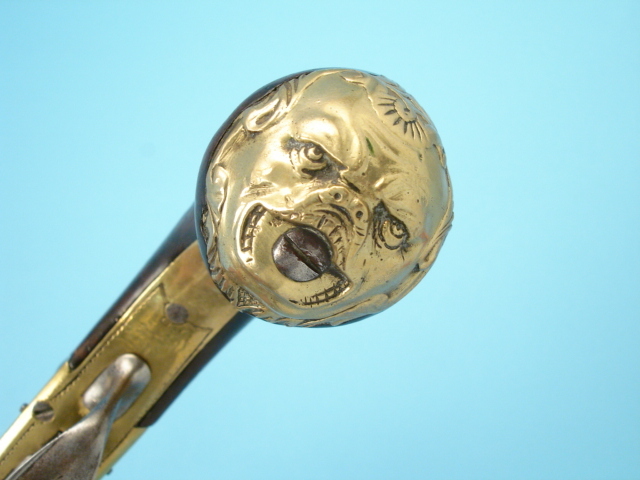 Grotesque mask brass pommel caps. 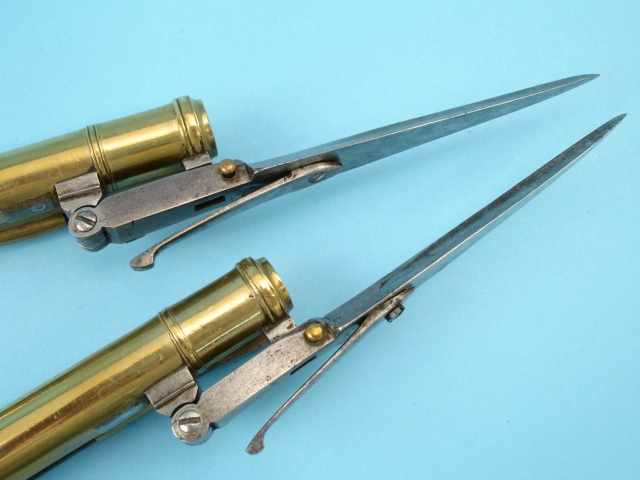 Spring-loaded triangular bayonets. 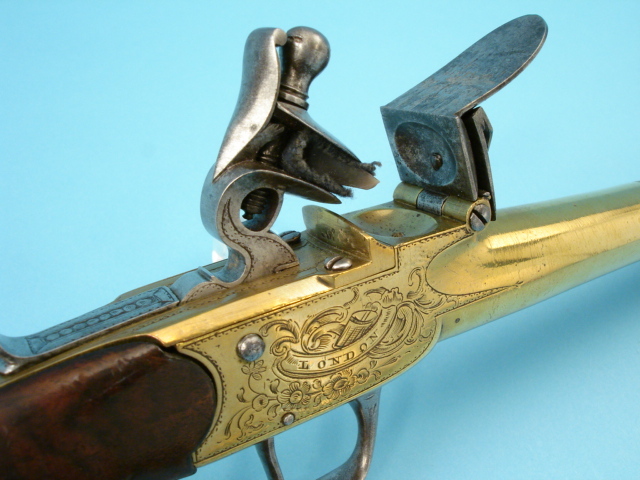 Note: Drury & Son, [1790- ? 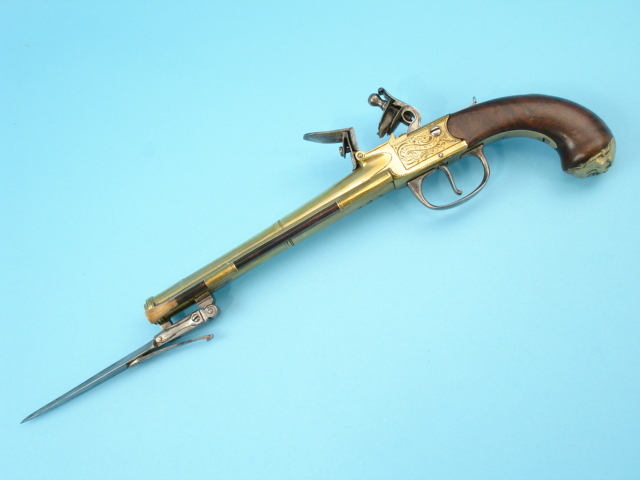 ], Liverpool.